Why Book at Taymouth Marina in 2018? Rolling hills, picturesque backdrops and breath-taking landscapes; 2018 is a year you should definitely book a holiday to Perthshire, Scotland. Scotland, as a whole, is any holidaymakers dream. The wild countryside is teeming with castles, great family walks, local wildlife and much much more. No more so than beautiful Perthshire. Encapsulated by a circus of surprises, sights and sounds, here is where your 2018 holiday in Scotland should surely begin. Make the most of a summer holiday break with the family, by escaping the crowded cities and joining us here at Loch Tay! Self-catering family breaks are ideal if you want a fun and peaceful holiday, but with some of the home comforts on hand too. No need to worry about kettles and microwaves as we supply these. Just make sure to bring some food and snacks along with you! If you haven’t been on a self-catering family holiday before then make sure 2018 is the year you finally get to go on one! We can guarantee you it won’t be your last. Our properties come with comfortable beds, hot tubs, showering facilities and we are also pet-friendly! Kenmore is a small village, 14 miles to the east of us, and chances are you will have to travel through it to reach Taymouth Marina! Why not plan an Autumnal holiday and watch the scenery around Loch Tay change due to the season? Lonely Planet featured Kenmore on their top vibrant autumn colours in the Northern Hemisphere article. The colours really are a photographer’s dream. Yes, we are talking about Christmas booking already! But, as history would suggest, availability fills up fast and we don’t want anyone to miss out on this. Last year we welcomed over 3000 people to stay with us and we are sure to welcome even more new, and old, faces here at Taymouth Marina again. Booking and enquiries have already begun so don’t delay if the thought of waking up on Christmas Day, or indeed celebrating the New Year, is on your to-do list – act now! 2017 was a fantastic year for us and we loved every moment of it. Here’s to an even better 2018. And that is why 2018 is the year you should book a holiday to Perthshire, Scotland. Have we won you over yet…? 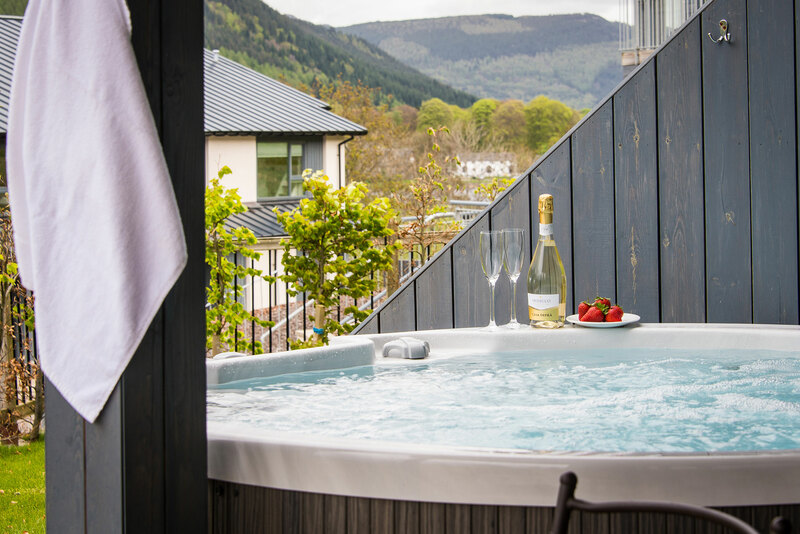 To book your stay with Taymouth Marina call 01887 830216 or click here to check availability today!